Housekeeping app? New interface? Discover some of our plans for 2018! Another 365 days became a history. I hope you started the New Year with a positive attitude (and a carefully prepared list of New Year goals)! 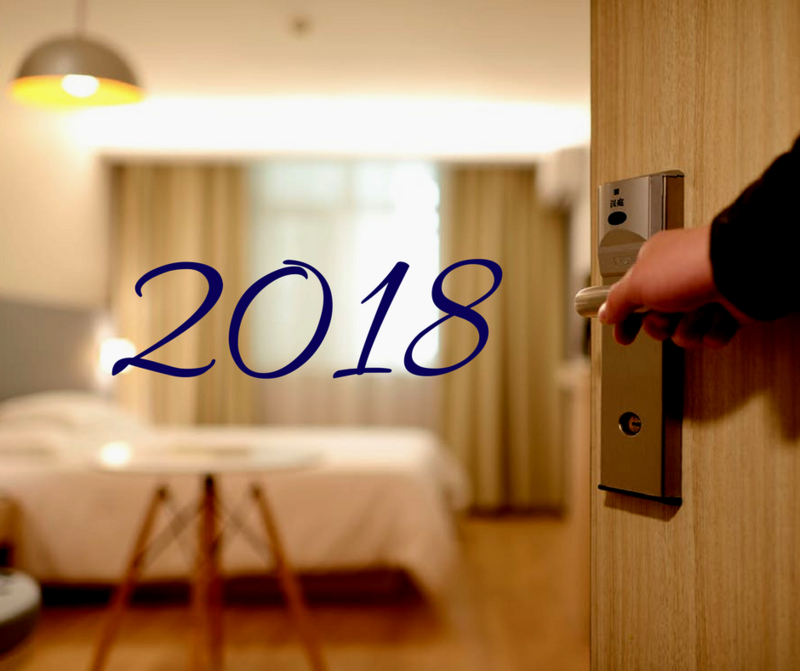 Our Team is certainly not leaving anywhere and in 2018 we want to bring you a couple of surprises along the way. Let`s leave the surprises for now (there is still time for them). Today I would like to reveal you some of our goals for the upcoming months. If any question comes to your mind, feel free to join the discussion below this article; I will happily answer! Our software for hotels, over the past few years, has received a great number of options, extensions and enhancements. Let`s just mention the largest update in the history of KWHotel or synchronization with the POSbistro point of sale management system. The more functions are added, the more important their positioning in the PMS becomes. Full flexbility in using KWHotel was always our top priority. That is why we intend to adjust the KWHotel layout. The majority of options within the program will receive special “?” icons. Clicking them will display a full tutorial on how to use the given function. We also wish to regroup some options so that, for instance, the whole accounting configuration is available within a single module. It will allow you a faster and more advanced configuration of KWHotel property management software. In the 0.47 update, the “KWHotel News” window will appear, bringing you the latest information regarding updates, events and our social media publications! To me, one of the most exciting reveals for 2018 is the mobile housekeeping app for KWHotel. The idea is simple. Our app consists of two sections – the Administrator`s and the Housekeeping staff`s. The Administrator selects in his app which rooms are meant for cleaning. When the cleaning staff member logs to his account, he recevies a notification about those rooms / apartments. When entering the room, he pushes a button in the app, marking the beginning of the housekeeping process. Having cleaned the room, he pushes the button again, meaning that he finished. Those steps are repeated for each room. Basically, our app makes the housekeeping supervision process much easier. You can real-time check the performance of your housekeeping staff and make sure no room was ommited. The housekeeping app is developed using the latest IT technologies and will be running under Android and iOS devices. The app can work either independently from KWHotel or synchronize with KWHotel Pro. More information on the housekeeping app is coming soon! Many changes are applied to the Web version too. Our goal is to separate KWHotel Web from KWHotel Pro. This way you will be able to manage your hotel on any device, via web browser. Apart from new features added to the Web panel, we are also planning to improve its` responsiveness on the smartphones with 5 inch screens or less. There is not much time left to the official release of new KWHotel Booking Engine. Not only it packs an upgraded layout but it also lets you deploy multiple payment gateways, as opposed to one in the existing release (i.e. PayPal, Authorize.net and on-the-spot payment). It is still not the complete list! Yes, there are more cards up our sleeves. One thing is certain. 2018 sure sounds exciting! I wish you a lot of positive energy that will “contain” your whole staff and even guests. And may KWHotel be the source of it!